Horizon is an applied reinforcement learning platform. Facebook is making its applied reinforcement learning platform Horizon open-source. Applied reinforcement is a tool that Facebook uses to make its artificial intelligence become smarter. 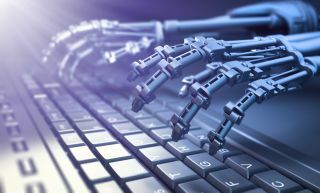 The company uses AI in many ways across the social media network, but perhaps the most prominent example is with M, Messenger's virtual assistant. Horizon helps M personalise suggestions, and is also used to tweak notifications and optimise video quality. Horizon has been built on open source frameworks, including PyTorch 1.0, Caffe2 and Spark, making it available to pretty much anyone that wants to fiddle with it. According to the blog post, Horzion supports different algorithms, including the Deep Q-Network (DQN), parametric DQN, and deep deterministic policy gradient (DDPG) models. The company plans on adding new models and various improvements, and hopes to see what it can do in dealing with massive data sets. “We are leveraging the Horizon platform to discover new techniques in model-based RL and reward shaping, and using the platform to explore a wide range of additional applications at Facebook, such as data centre resource allocation and video recommendations. Horizon could transform the way engineers and ML models work together”, the blog concludes. You can read more about Horizon in Facebook's blog post here.